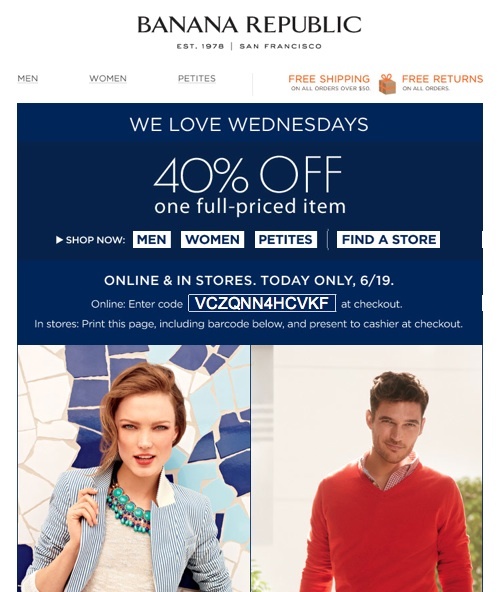 Banana Republic Sale loves Wednesdays. Save 40% off one full-priced item when you shop for mens, womens, and petites. Online and in stores. Today only, June 19, 2013. When you shop online, enter coupon code VCZQNN4HCVKF at checkout. Click here to see the coupon in a browser.